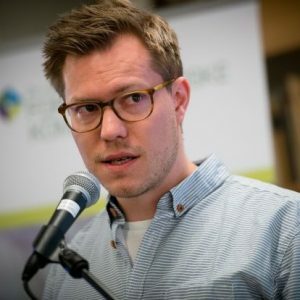 Jacob Aasland Ravndal is Postdoctoral Fellow at the Centre for Research on Extremism at the University of Oslo, covering inter alia Right-wing extremism, hate crime, and political violence. His current research is on the relationship between left- and right-wing militants in Scandinavia, and between political extremism (ideas) and political violence (action) more generally. He is also interested in the use of intelligence in domestic counterterrorism operations, as well as in international peace operations. 1) In your latest article for The Washington Post, you suggest that right-wing terrorism and violence may actually have declined. Apparently, this opposes the mainstream idea of an increase. Could you tell us more about your perspective? Indeed, perspective is a key word here. To determine whether something is rising or declining, we have to first agree about the length of the period we are interested in, and the period against which it should be compared. In general, to capture trends, longer periods provide better and more reliable information than shorter periods do. My own research documents right-wing terrorism and violence in Western Europe from 1990 onwards, including both lethal and non-lethal attacks, as well as terrorist plots. However, if we were to go even further back in time, for example to the entire post-WWII period, you would see that levels of terrorism and violence were even higher during the 1960s, 1970s, and early 1980s, particularly in countries such as Italy, Spain, France, and Germany. A second important consideration is your unit of observation, which in turn should be determined by your research interest. If you are interested in documenting trends such as variation in the level of violence over time or between places, counting the number of deadly events is probably the best (although not perfect) measure we have because of inherent problems relating to limited and skewed data in this field. There are also problems of concept stretching, such as including non-violent hate crimes, or apolitical violence, in measures used to estimate levels of right-wing violence. By comparison, if you are interested in felt harm from the victims and their relatives, then the total amount of people killed is a more relevant measure, as well as levels of hate crime more generally. One final point which my colleague Pete Simi shared with me is be that because right-wing violence is often neglected in the public sphere, at least in comparison to Islamist terrorism, the notion of it being on the rise may follow intuitively in the wake of large attacks, because people who in general do not pay much attention to this threat are suddenly aware of it, and therefore perceive it as something new or on the rise. 2) The notion(s) of identity are crucial to both religiously-motivated and far-right violence. What are the similarities and differences between these worldviews in terms of the search for identity? There are many things to be said about this interesting topic, but because it falls outside my own field of research, at least until recently, I shall be careful not to say too much. On a very general note, I think it is more fruitful to approach these two as different expressions of a similar phenomenon, rather than as similar expressions of fundamentally different phenomena. This includes a general search for identity, although there are of course some significant differences, such as minority vs. majority perspectives and a universal religious identity vs. a territorially-based ethnic identity. 3) You have an outstanding knowledge of the radical patterns and dynamics in Scandinavia. Do you think that the region represents a case on its own? Are there lessons that the rest of Europe can learn from Scandinavian Preventing Violent Extremism (PVE) and Countering Violent Extremism (CVE) efforts? Whether the Scandinavian region can be used as a case to be generalized from depends entirely on your research question. Surely, the Scandinavian countries are fairly representative for Western democracies more generally. They are perhaps particularly relevant for studying dynamics of extremism and radicalization in the context of liberal democracy considering the relative stability of their political systems, their level of democratic consolidation, and their comparatively high scores on liberal values. Concerning PVE and CVE efforts, which by the way also falls outside my own research, I think other Western democracies may find much inspiration from some of the work that has been done in this region, particularly in Denmark, a country that has been at the forefront of developing innovative ideas and solutions, especially with regard to so-called multi-agency approaches to CVE, sometimes referred to as “the Danish model”. 4) Striking the right balance between quantitative and qualitative research is one of the most complex issues in terrorism studies. How do you see the relationship between these two approaches? One interesting finding that I’ll be discussing together with an American colleague in a paper we are currently working on is that quantitative approaches, in particular those with an ambition of causal inference, are still very rare in specialized terrorism journals, while terrorism research published in highly-regarded generalist journals are almost exclusively quantitative. What this means remains an open question, but it does signal some sort of bias on both sides. I think the simple answer to your question is that in terrorism research, just like in any other field, quantitative and qualitative approaches complement each other, and we need both if our ambition is to develop precise but also generalizable explanations that can be used to inform future policies. Because I have built a dataset, I am often taken for being a quant-person, but this is really not the case as most of my research is qualitative. However, I have recently developed a strong interest in set-theoretic methods, in particular Qualitative Comparative Analysis (QCA), which actually brings together the best from these two worlds. 5) In conclusion, is the far-right likely to represent a real threat for Europe? 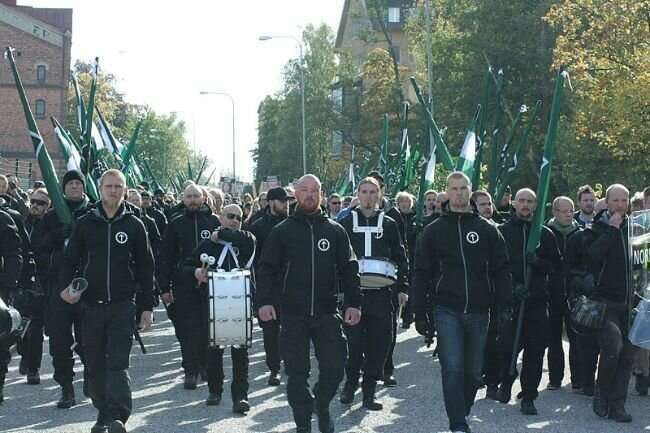 From a pure security perspective, the far-right poses a fairly limited but stable threat, particularly to certain target groups such as Muslims and other minority groups, political enemies on the left, and government representatives. There is no reason to believe that this threat will disappear any time soon. If anything, a combination of increasing societal polarization, online radicalization, and transnational flows of ideas and tactical information about weapons and bomb-making recipes might enable more people to carry out attacks alone or in cooperation with a handful of others. That said, from a liberal democratic perspective, I think the most troubling threat from the far-right is its increased salience in the political marketplace of ideas, and the potential negative consequences these ideas can have if they are translated into actual government policies via democratic procedures. That is why some of the general concerns these ideas thrive on and exploit need to be taken seriously by political leaders with a true commitment to liberal democratic values.